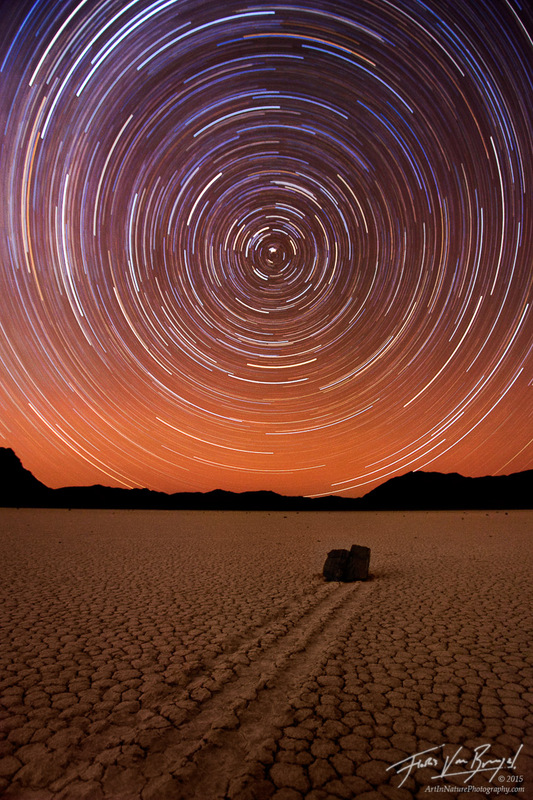 The "Racetrack," a remote desert playa (dry lake bed) in Death Valley National Park, is famous for its mysterious and fascinating "moving rocks" that, under just the right conditions, slide across the mud leaving behind tracks that remain for years. Current theories suggest the rocks are moved by high winds when the playa is slick from rain. In order to emphasize the mysteriousness of this phenomenon I used a 2.5 hour long exposure to capture star trails circling around the North Star, Polaris.